Okay, so I’ve stolen the idea of ‘Friday Five’ from… Many blogs, probably. 1. 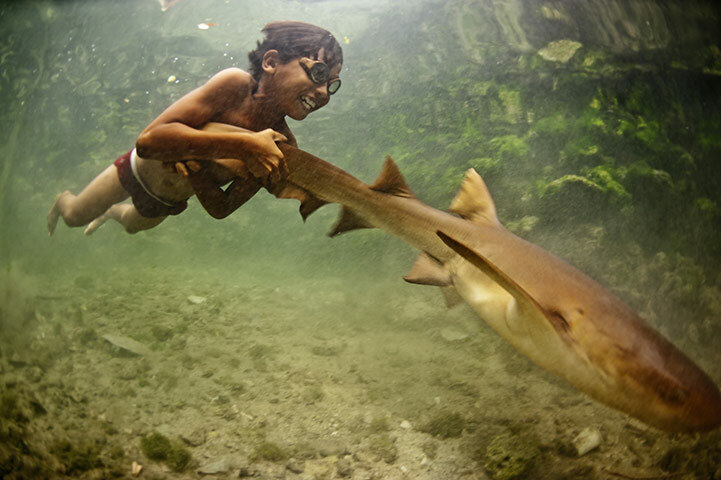 The picture above is from this Guardian article about the Bajau sea nomads. I just found it in my saved links folder (meant to write about it here ages ago) and was captivated all over again by the description and photographs of the Bajau’s way of life. 2. Weird writing habits of famous authors… Should I be worried that none of these seem particularly odd? 3. I will probably never go to Las Vegas, but if I fall into a portal or win a holiday or something, I will definitely visit the Neon Boneyard; final resting place of ‘retired’ Vegas signage. If you have any interest in retro glamour, design, typography or the unusual, go to idsgn and ogle the pictures.